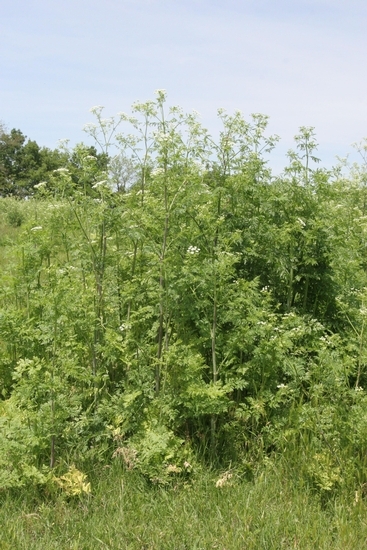 An erect biennial reaching 10 feet in height. 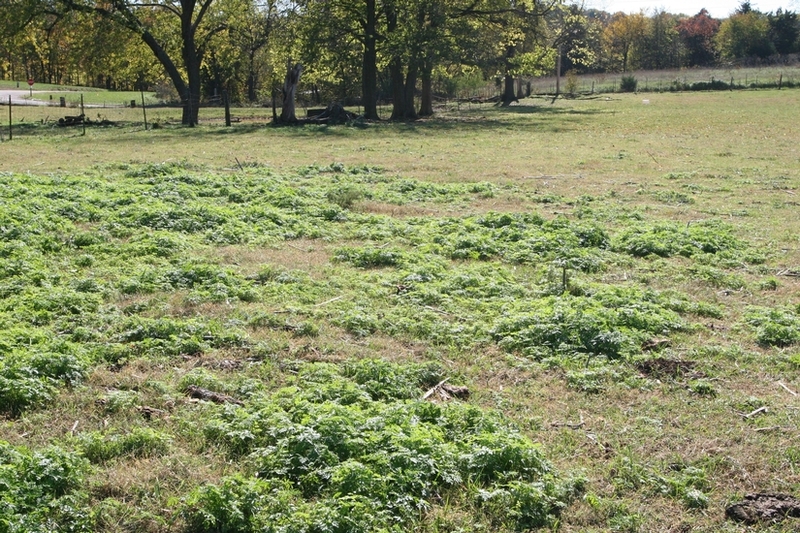 Primarily a weed of pastures and roadsides found throughout the U.S., but less common in the northern Great Plains. 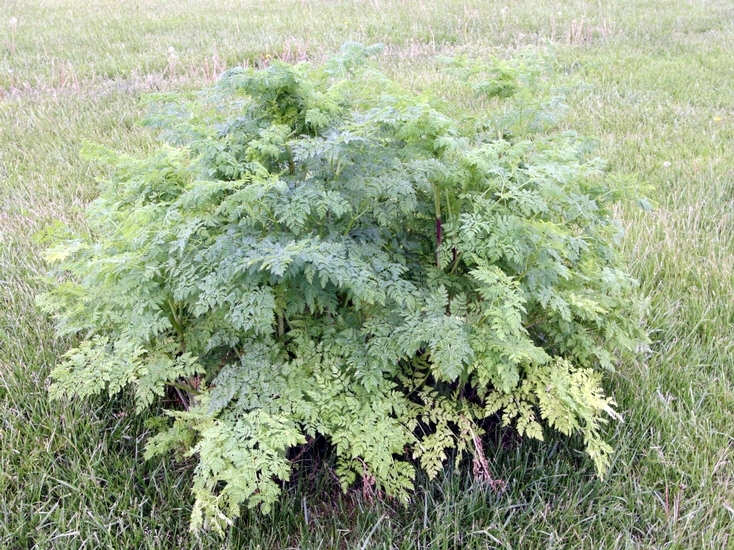 This weed is poisonous to cattle, swine, poultry, horses, goats, and sheep that consume it, but it is rarely eaten. Cotyledons are narrow, lanceolate, and on long petioles. 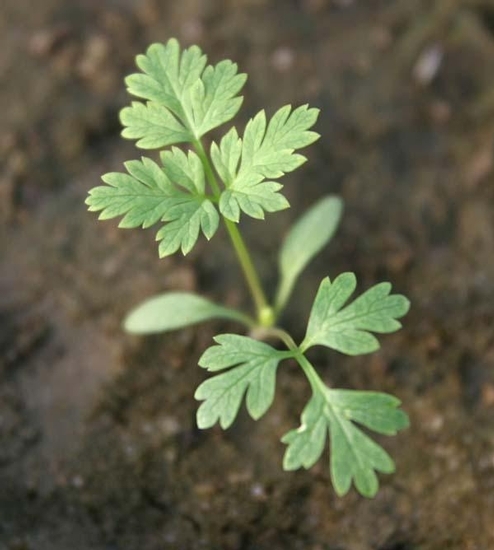 First true leaves have two or more leaflets along an axis (pinnately compound), and are without hair (glabrous). Alternate, triangular in outline, 8-16 inches long, petioled, and often dark glossy green in color. 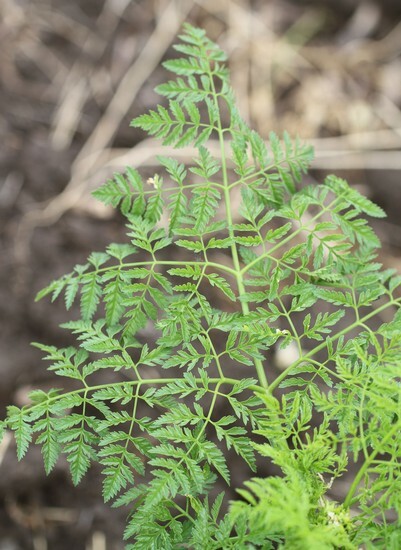 Leaves are 3-4 times pinnately compound, and the individual leaflets are lanceolate in outline and 4-10 mm long. Plants produce a basal rosette the first year and then produce erect flowering stems during the second year of growth. 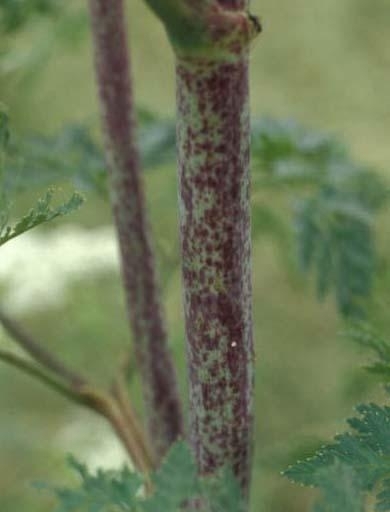 Stems are erect, branching, without hairs, ridged, hollow except at the nodes, and distinctly purple-spotted. 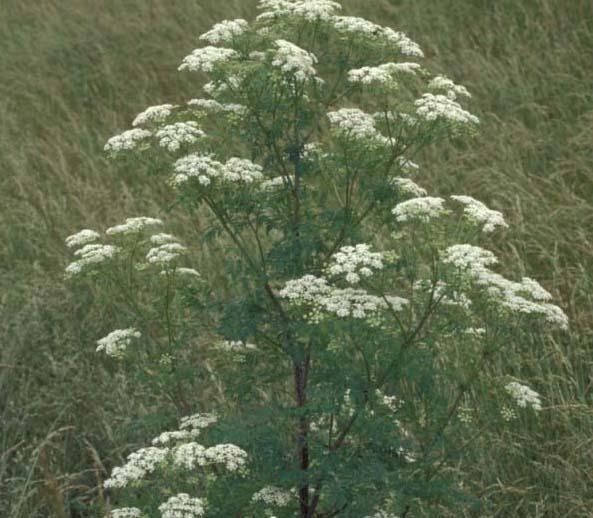 Large (1.5-2.5 inches), white flowers (compound umbels) are each composed of a cluster of smaller flowers in which the stalks of the individual flowers arise from a common point. A schizocarp that splits into two parts when mature. Purple- spotted stems with leaves and flowers that resemble Wild Carrot (Daucus carota). 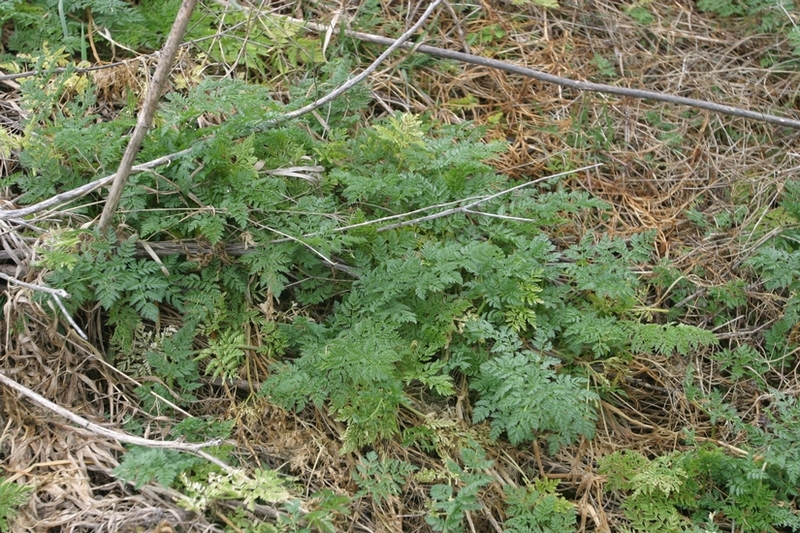 However, this weed may be distinguished from Wild Carrot primarily by the lack of hairs and purple spots along the stems. 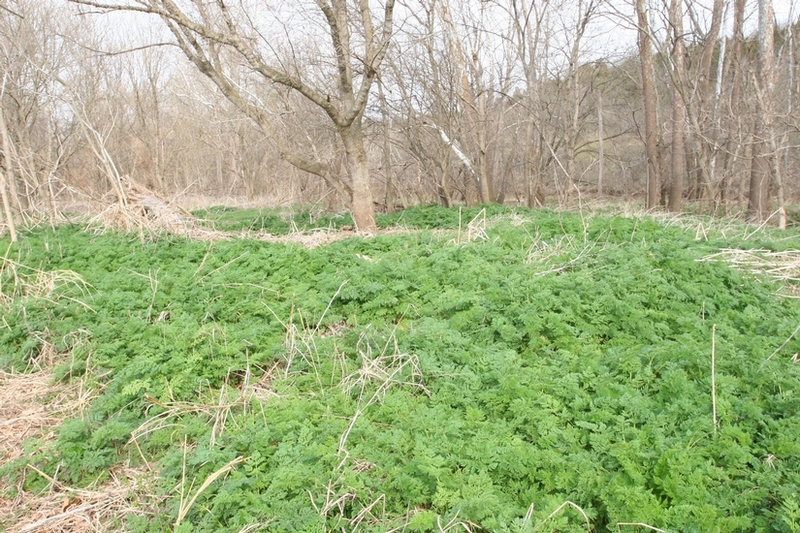 Additionally, the flowers of wild carrot are generally larger and more flat-topped than those of poison hemlock.